The Town of Okotoks has many new construction and infrastructure projects. This includes the completion of multi-phased projects started in previous years and the planning of new multi-phased projects that will enhance the Town’s roadways, utilities, buildings, and recreational parks and facilities. We know that construction can impact residents and businesses and we thank you for your patience while we complete this work. 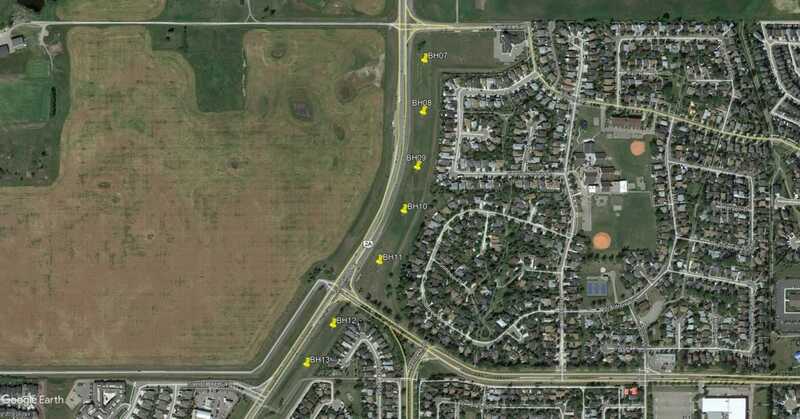 To view the map of current construction projects in Okotoks, please click the button below. This project is scheduled to begin April 23. As a part of the Northridge Drive Urbanization project, a preliminary geotechnical investigation is scheduled for April 24 and 25, weather permitting. This work will take place on Northridge Drive between Sandstone Gate and 338 Avenue (click buttons below to see images; work area denoted by yellow pins). Single lane closures and traffic delays should be expected. Please use caution in the area and watch for signage, workers, and equipment. Thank you for your patience and cooperation. 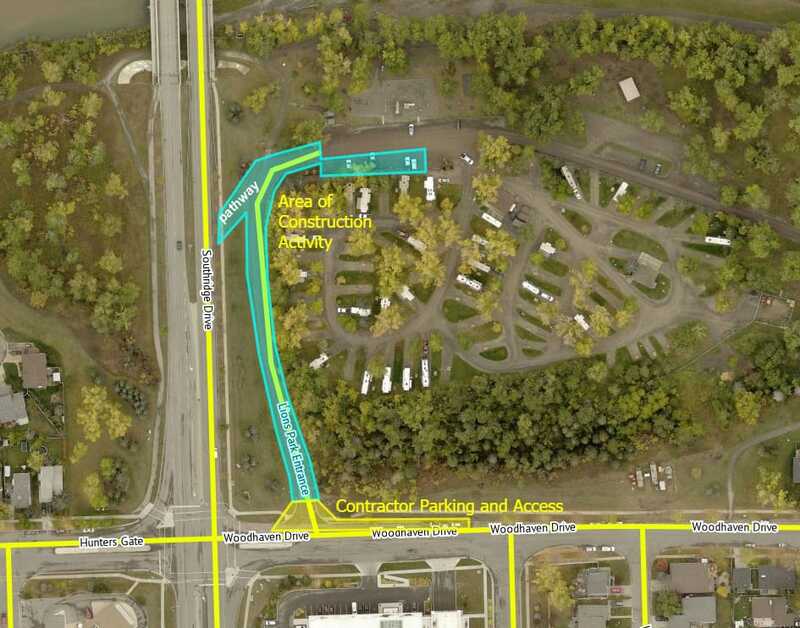 To allow for improved access to the Sheep River Park and Okotoks Lions Campground, the access road will be paved. A new section of the pathway will also be constructed (click on button below to see image). The preliminary work is anticipated to begin on April 25 and the construction activities are expected to start April 29 for an approximate period of 3 weeks, weather permitting. 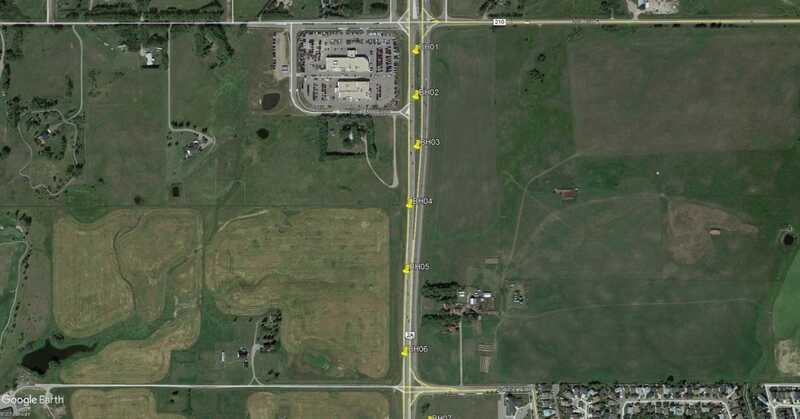 During construction, one side of the road will remain open unless otherwise indicated. Work will occur from 8:00 am to 6:00 pm (weekdays) and 9:00 am to 5:00 pm (weekends). Please use caution in the area and watch for signage, flaggers, workers and equipment. Thank you for your patience and cooperation. Narrowing of the two turning lanes in and out of Banister Gate is expected to begin this month; please expect intermittent traffic disruptions. Please click button to see area. The intent of this project is to conduct lifecycle replacement of the Zone 3N Reservoir equipment, and to add additional equipment to service the Wedderburn/D’Arcy lands and future development areas in the north. As part of the project, aging electrical pumps and controls will be replaced, the existing pump house building will be expanded and new pumps will be installed. Construction equipment will be mobilized to the project area shown below starting on October 29 in preparation for construction to commence on November 1. The project is anticipated to be completed in the summer/fall of 2019. Use of the tennis courts will be accommodated whenever possible via a gate on the northwest of the court. Some interruptions may be required during certain phases of construction. The courts are open now. Thank you for your patience and cooperation during this work. Please watch for and obey construction signage and use caution in the area. This project is to complete a detailed design to upgrade the Zone 3N Reservoir in order service the Wedderburn, North D'Arcy and future north lands; to accept water and control water from a future regional potable water pipeline and replace aging electrical pumps and controls. The project scope also includes expansion of the existing pump house building; installation of Zone 4N pumps; replacement of Zone 3N pumps and installation of transfer pumps to allow for transfer to Zone 2 reservoir. This project is required to allow for development of Wedderburn and D'Arcy north of Bannister Gate, by providing water to a new pressure zone. It will also allow water to be received from a regional pipeline and replace assets that are due for life cycle replacement. Updated controls and pumps will also result in energy savings.